Chicken | Cooking With Mr. C.
1. In a bowl, mix flour, cayenne pepper, paprika, salt and pepper. Coat wings in flour mixture. Refrigerate for 2 hours. 2. In a skillet, put 4 tbs. of olive oil. When heated, add wings. 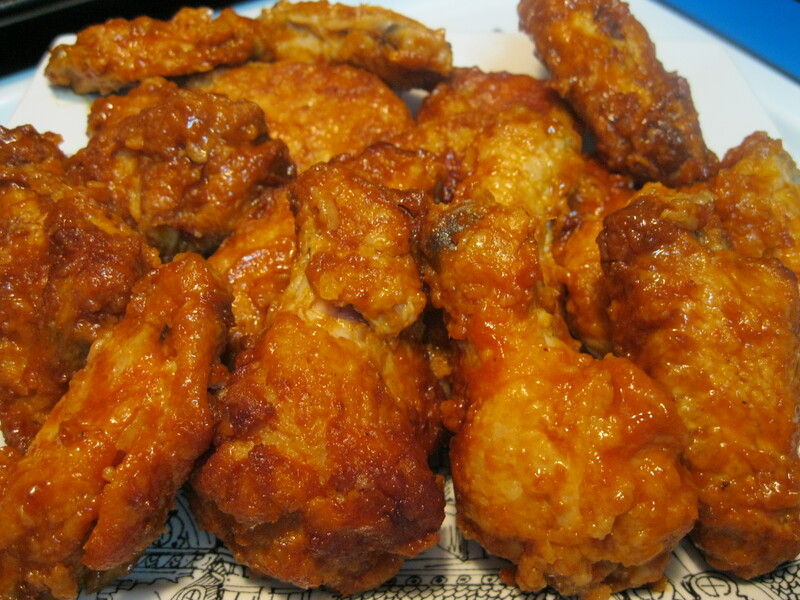 Cook wings for 12-15 minutes. Turn wings over to cook evenly. 3. While wings are cooking, in a separate pan, add butter and hot sauce. Keep on a low heat and stir until butter is melted. 4. 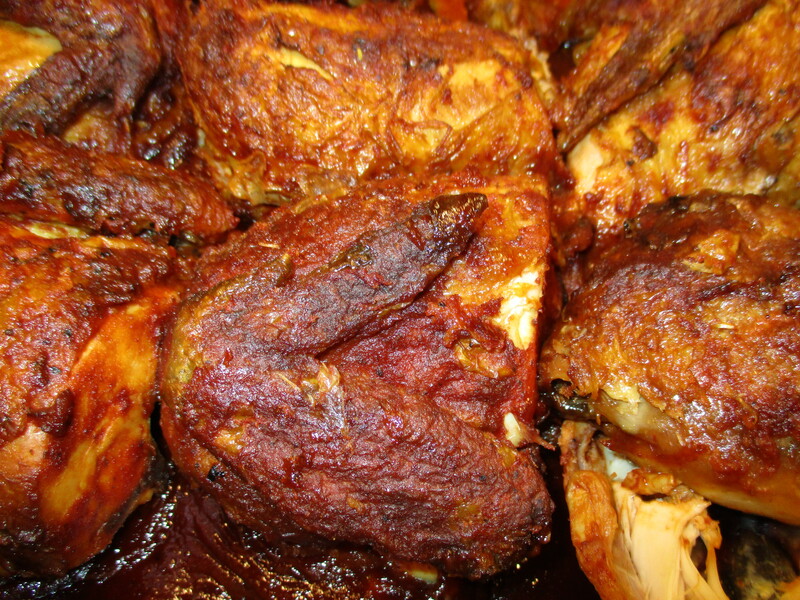 When wings are done, place on paper towels to absorb excess oil. Put wings in a bowl and pour butter sauce over them. Stir to coat them. In a large skillet put 2-3 tbsp. of olive oil. Cook chicken cutlets on both sides for about 3 minutes each. In a large baking pan, coat the bottom with tomato sauce. Place cooked cutlets in pan. Put a little tomato sauce on top of each cutlet. 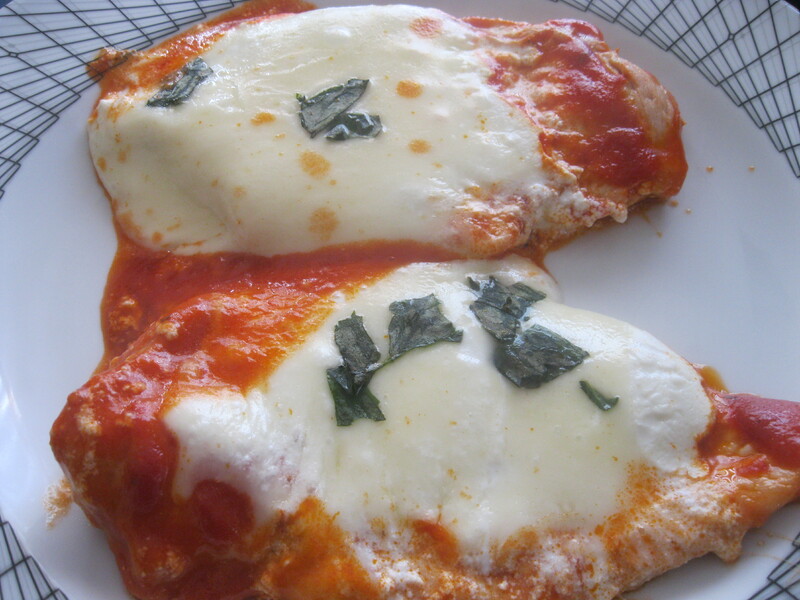 Put a dollop of fresh ricotta cheese on top of each cutlet. Spread the ricotta evenly on top. 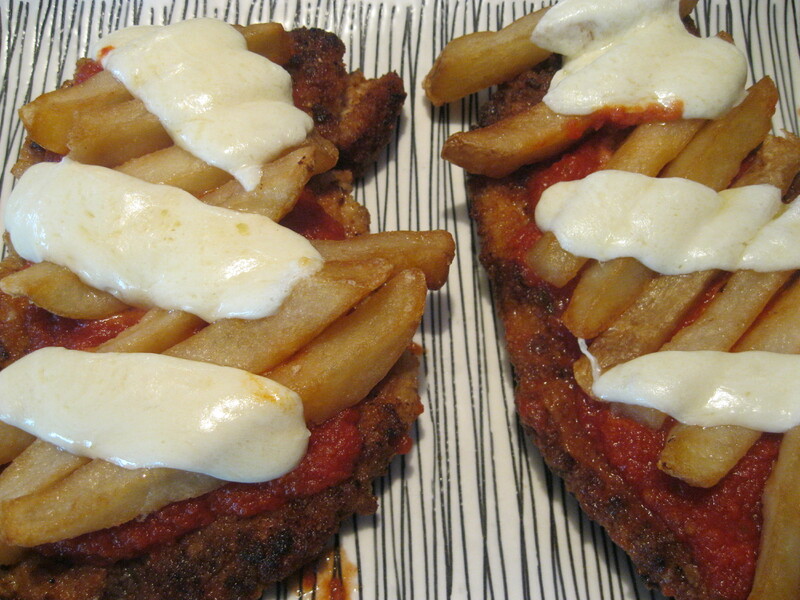 Put a slice of mozzarella on top of each cutlet. Sprinkle with sea salt and basil. Bake for 8-10 minutes, or until mozzarella is melted. 1. Mix all spices in an a large Ziploc bag. 2. Add chicken pieces to Ziploc bag. Shake well. 2.) Preheat oven to 35o degrees and bake for 45 minutes. *Note: Certain chicken pieces will cook faster than others. Make sure all chicken is cooked well. 1. Dip chicken cutlets in egg whites. Then coat cutlets with bread crumbs. 2. 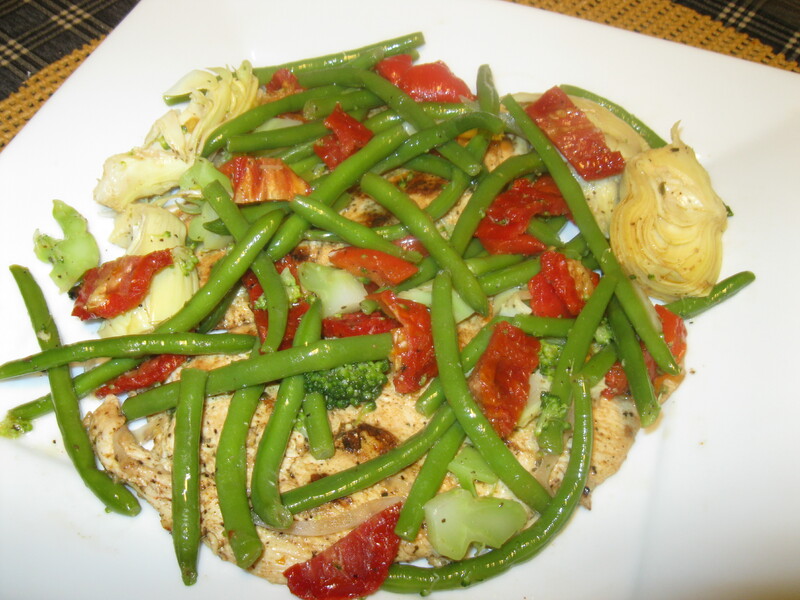 In a large skillet, put 1/4 cup of olive oil. Fry cutlets on each side for about 3 minutes each. Turn so they don’t burn. Remove and put to the side. 3. For the French fries, you can buy frozen and bake them. If not, get 4 large potatoes and slice into shape of fries. Sprinkle with sea salt and coat with olive oil. Put on a baking pan and bake in a 400 degree oven, and bake for about 25 minutes. (until crisp and tender) *Note: It’s faster to bake the frozen ones. 4. In a large baking pan, coat the bottom with tomato sauce. Put cutlets in pan. Put some sauce on each cutlet. Sprinkle with a pinch of sea salt and black pepper. 6. 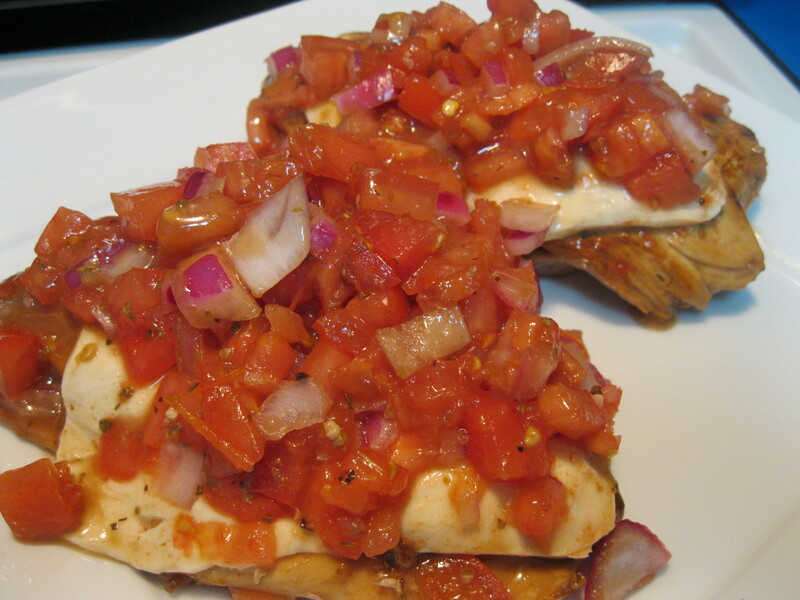 In a preheated 400 degree oven, put cutlets in oven for about 5-7 minutes to heat through. You also want the mozzarella well melted. 1. In a skillet, put 2 tbs. of olive oil. Brown garlic. Add spinach and cook until soft. Remove and let cool. 2. In a food processor, add ricotta, spinach and a pinch of salt and pepper. Mix well. 3. Take chicken cutlets and lay flat on wax paper. Put 2 tbs. of ricotta spinach mixture. Roll chicken cutlets up and tie with a string. 4. Take rolled chicken cutlets and dip in egg and then flour. 5. In a skillet, put 3 tbs. of olive oil. Fry rolled cutlets on each side for 3 minutes so they become brown. Remove from heat. 6. 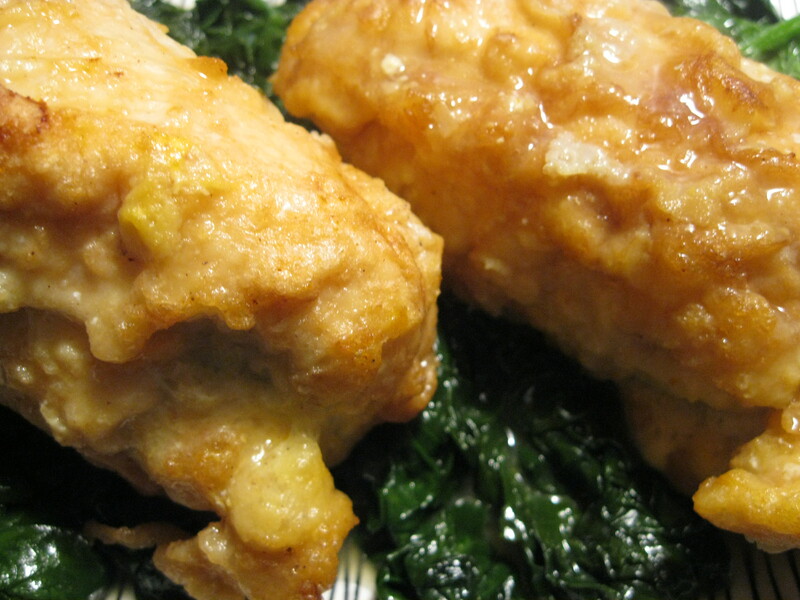 In a baking dish, put browned rolled cutlets. Add wine, chicken stock and lemon juice. Bake in oven for 45 minutes. Remove string and serve.